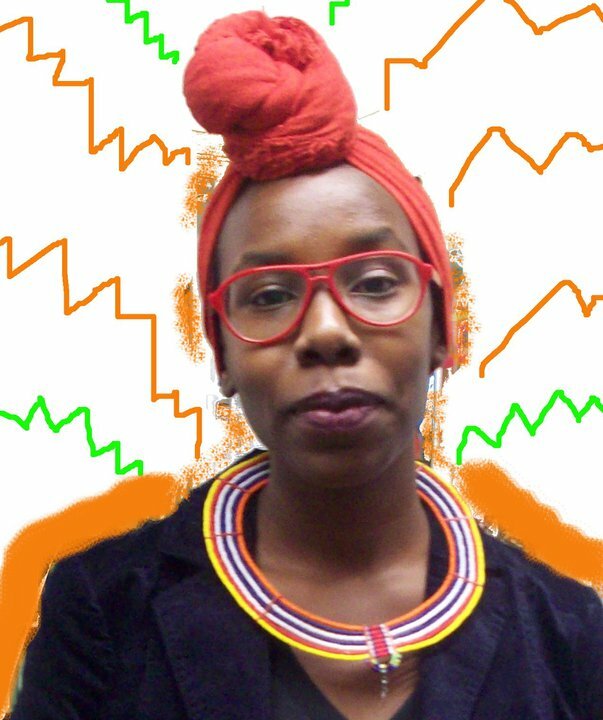 Miatta Kawinzi is an inter-disciplinary artist whose practice includes painting, film/video, photography, poetry, and installation. She is interested in raw materials, abstract expressionism, and aesthetics that reflect the chaotic and layered nature of the ideas she engages in her work around cultural hybridity, gender deconstruction, technology, and self-fashioning. She draws on theories of Afro-futurism and the African diaspora as points of departure to explore the figure, the inner & outer landscape, and identity as sites of re-invention and possibility. Of Liberian and Kenyan heritage, she was born and raised in the US South, received a BA from Hampshire College in 2010, and is now based in NYC where she exhibits her work and looks for plant growth amidst the thick of the machine. In her current work, Sonya Schönberger is meeting eyewitnesses from the time of World War II and conducts personal interviews with them, exploring the cultural memory of the German society. She follows these witnesses and memory-keepers into the everyday life of the Third Reich. Kalon Hayward regularly collaborates with renowned theatre artist in the New York City area. As an actor, singer, performance artist he has performed throughout the United States, Africa, and Europe.